Home / Eco / Temporary suspension of deforestation: A stage win, but the struggle for #HambacherForest is far from won. Temporary suspension of deforestation: A stage win, but the struggle for #HambacherForest is far from won. Today (October 5, 2018), the Higher Administrative Court (OVG, Oberverwaltungsgericht) granted in the course of an emergency application of B.U.N.D. (Alliance for the Environment and Nature Conservation Germany e.V.) to suspend the deforesting for the time being. A stage win, because the struggle for the forest is far from won. What does that mean for the forest? First and foremost, the forest is protected by the court, and saved from felling until the final decision of the OVG is made, whether or not the Hambach Forest falls under the Habitats Directive. 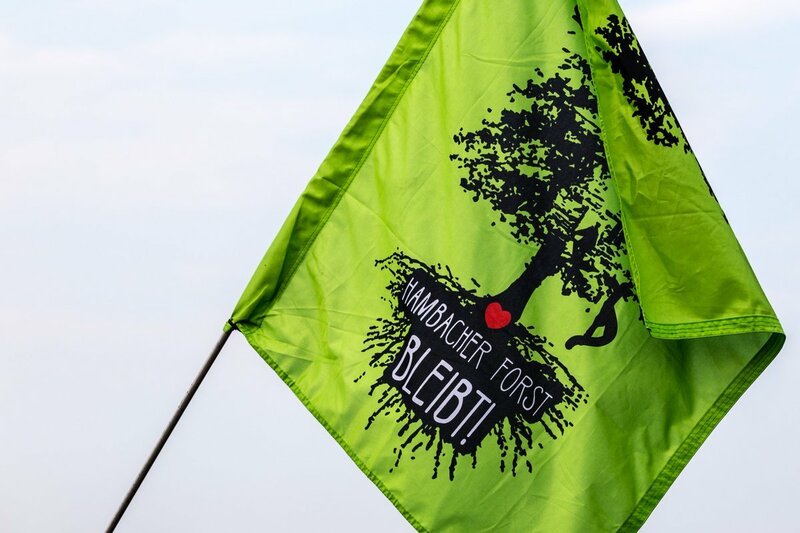 The resistance, which has now lasted for six years, made this subject very popular, and through the massive demonstrations that have been staged over the last few weeks, where thousands of people gather to tackle the deforestation of the Hambach Forest on the roads and into the woods. Another should now take place this Saturday, this was prohibited by the police because of security concerns (The court of Aachen lifted the band yesterday afternoon, EIE). However, we do not allow ourselves to be deprived of the right to freedom of demonstration enshrined in the Basic Law and nevertheless call on all people on Saturday to come to the Hambach Forest to demonstrate. As the demo will take place on Saturday the 6.10.2018, the protest will continue. We (Enough is Enough) need your support: You can support our work by ordering a Fck RWE hoodie or t-shirt in our shop: here or donate. Reclaim Hambi! – Reflections about Strategy and Call for Action – Enough is Enough!